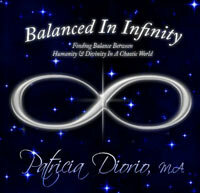 Gain Clarity about your goals, intentions, heart's desires, dreams and soul's purpose? thinking that keep you from manifesting your desires, dreams and goals? Learn how to dissolve those negative patterns with a realistic action plan that works? Access Wisdom and insight directly from the guidance of your essential Self? Quantum Counseling is an individualized counseling program that is based on science and spirituality as one and the same phenomenon, using the Voyager Tarot card deck as a tool to access your subconscious essential Self. It provides a unique way of helping you become very clear on how you can create a truly happy life and maintain this happiness despite the challenges that occur in all areas of life, including career, health, finances and relationships. Sessions can be conducted in person, online via Skype or over the phone. You are the creator of your reality. Your thoughts, perceptions and beliefs are in a continual dance with the Quantum Field. Where you focus your attention causes the subatomic particles in the field to collapse into matter. Energy follows intention. The NOW is all there is. Understand the power of being in the present moment. The past is gone and the future is in between your ears. If you are not present and in fear of the past or the future happening, you will surely create fear in the now. Essence vs. form. As you get clear on what you desire in life, it is important to focus on the Essence Qualities of what you want, rather than the actual form. Focusing on material form is a trap. You may manifest it, but chances are it will not have the essence qualities you truly desire. "Be careful what you ask for..."
What you resist persists. When you are unable to manifest what you desire you are most likely dealing with blocks or resistance based on negative patterns of perception usually from your childhood and societal conditioning. Once you become clear on the patterns, you can remove the blocks to your success. The Quantum Counseling Circle is a four month program designed for people who are committed to their personal growth, spiritual expansion and are ready to make a quantum leap in their lives. The participants are limited to six people only, to promote intimacy and safety. In this confidential setting, we delve deeply into the topics of Relationship, Health, Money & Career from the perspectives of science, spirituality & Self Love. Feel safe and supported in a small confidential Circle of like minded people. Get energized as you co-create a resonant field for exponential growth, mutual healing and the manifestation of your greatest heart’s desires. Receive a personalized reading from Patricia each session using the Voyager Tarot, a brilliant, illuminating and fun deck of cards. Complete the Circle with a Life Vision Statement & Vision Board for living a fabulous life expressed in Essence Qualities. Live your life powerfully by deliberately creating your world. Patricia Diorio is proud to be part of the Mesothelioma Community Resource Coaching Network, as part of the Mesothelioma Cancer Alliance, a coalition of top cancer care centers, complementary/palliative mesothelioma treatment providers and caregiver resources.